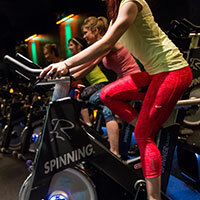 If you like Cyclebar, SoulCycle, or Zyn22, you're going to LOVE cycle at SunstoneFIT! Please wear athletic shoes to this facility. SPD clip shoes are optional!